Want to be a part of the AACtion? Then learn the skills and strategies to do so here! 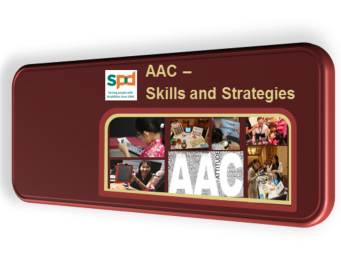 Learn the ‘who’, ‘what’ and ‘how-to’s of Augmentative and Alternative Communication (AAC) intervention in this foundation course! Ever wondered what Assistive Technology in an inclusive classroom looks like? Join us in An Overview of Assistive Technology in Mainstream Learning to find out! Learn the role that Assistive Technology can play to foster a more inclusive society! 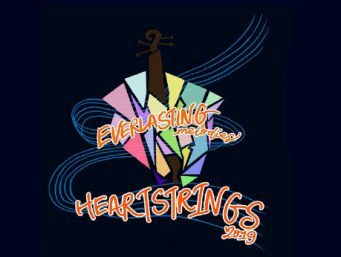 Highly sought-after vocalist Mr Robert Fernando and multiple award-winning soprano soloist Ms Lauren Yeo will perform at the SJI Heartstrings 2019! 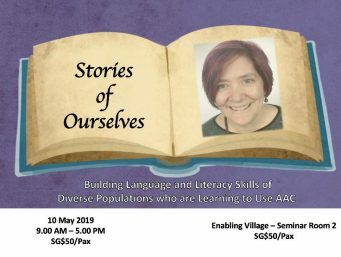 This workshop will teach us how to use personal stories to engage communicators who are still developing language and literacy skills. 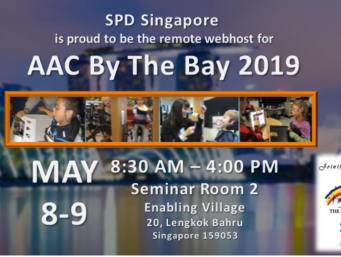 Hear from experts in AAC, CVI and Literacy Learning for persons with moderate to severe challenges–without even leaving Singapore! 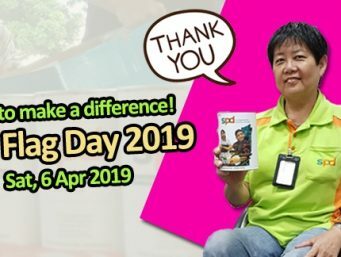 Join us at our island-wide Flag Day on 6 April 2019 (Saturday) to create greater awareness for people with disabilities.